We at Feng-GUI would love to hear from you! We hope our tools are really helping you get greater ROI from your marketing efforts. BUT, if you're trying to learn more about conversion optimization and digital marketing, READ ON! Feng-GUI has become an affiliate of a digital marketing training and certification company called Simplilearn. Simplilearn is one the largest professional certification and skills training companies. The courses in their digital marketing category are designed by industry experts like Bryan Eisenberg, Brad Geddes, Stephane Hamel, Lilach Bullock etc. 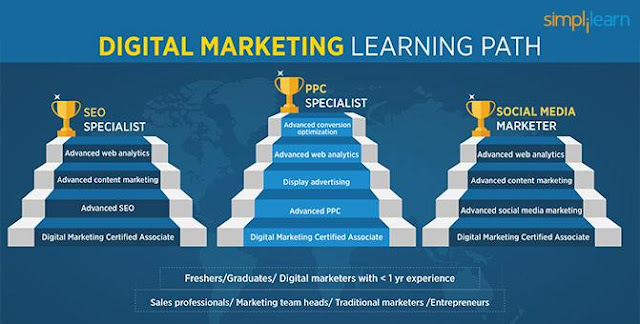 They have fantastic, advanced courses covering SEO, PPC, Social Media, and a course that teaches advanced material covering all of the core disciplines of digital marketing called Digital Marketing Specialist Masters Program. You will get career-building certification upon completion. I have personally vetted their material. They're also the owners of Market Motive, another digital marketing training organization here in the US. We negotiated a HUGE 20% discount (save up to $200 depending on the course) for you.